A freestanding small organ by The Positive Organ Co Ltd. of London sits towards the front of the nave where pews have been removed to allow its insertion. It is reported to have come from a nunnery at Belper and previously was installed elsewhere. 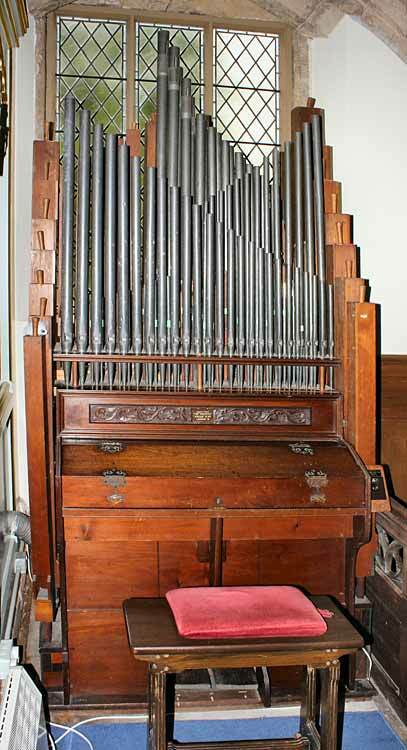 Thomas Cassons' Positive Organ Co 'produced a range of small organs, sometimes with nice cases, around the turn of the 20th century'.